What’s The Value Of Wheat Pennies? Find Out How Much All Wheat Pennies From 1909 To 1958 Are Worth! That’s the main question I keep getting here at The Fun Times Guide to Coins — and I’m glad this is so, because Lincoln cents have long been my specialty. In fact, that’s the first coin I ever collected and the coin that — to this day — I still focus my coin collecting efforts on. When I was a new coin collector I, too, used to wonder what the value of wheat pennies was — simply because they’re obsolete coins that by the very nature of their being old were not seen in circulation very often. In fact, my first coin was a 1941 penny, with a value that was far less than I would’ve imagined (around 10 cents) for a coin so old. But I learned that not all wheat cents are worth so little. As I soon learned, some scarce wheat pennies are worth lots of money, and many more Lincoln cents barely register a value above the intrinsic one-cent denomination. Still, though, you want to know what the value of your wheat pennies is — if for nothing else than to satisfy your curiosity (some are worth $1000 or more! ), then a Lincoln coin value guide is a must-read for you. So, without further ado, here is information on the value of wheat pennies – hope you’re sitting down, yours may be worth the big bucks! *Pennies are assumed to be in grades of Good-4 (heavily worn with only a few major details showing). Values are based on several sources, including information from A Guide Book of United States Coins by R.S. Yeoman, and PCGS online price guide. As you can see, the value of your wheat pennies is primarily dependent on its date, with scarcer years being worth much more than those that are more common. However, the value of your wheat pennies will also hinge on its state of preservation; the less wear your coin has, the more it is worth. 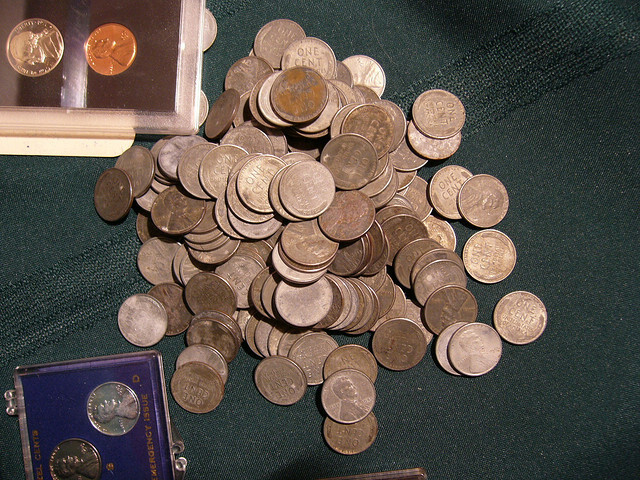 Because most people here at The Fun Times Guide are asking about values of wheat pennies they have found in pocket change, I decided to list the values for very low-grade coins. So, if you have a wheat penny in a higher grade, you can be confident that is almost surely worth more than the prices you see listed here. No matter what the value of your wheat pennies may be, remember that all Lincoln cents made between 1909 and 1958 are now considered obsolete and are worth hanging onto. After all, these coins are becoming scarcer, especially in circulation, and are increasingly valued by coin collectors who want to assemble complete sets of this highly popular coin.